Hi, Most of Taupo was fully swamped over the long weekend with trout hungry hunters and long weekend holiday makers. The Tongariro especially felt the force of angling numbers and it was very hard to find any available water that had not been picked over after 8am. It seemed that we were all pretty keen for early starts as the river by mid morning was seeing anglers heading back to bed-this may have had something to do with cold and blustery conditions again. Generally I think the river performed quite well considering the trout were being chased from bank to bank with most anglers hooking and landing trout for their early morning efforts. I must admit by Monday only the wise fish were left and were not having a bar of standard patterns or poorly presented flies. With the cold weather continuing we should see another lot of fish into the system to replace the poor little buggers that were slayed over the weekend. The lower river I think was the place that most anglers encounted the freshest of the fish and some nice jacks were caught wet lining in the Reeds Pool. 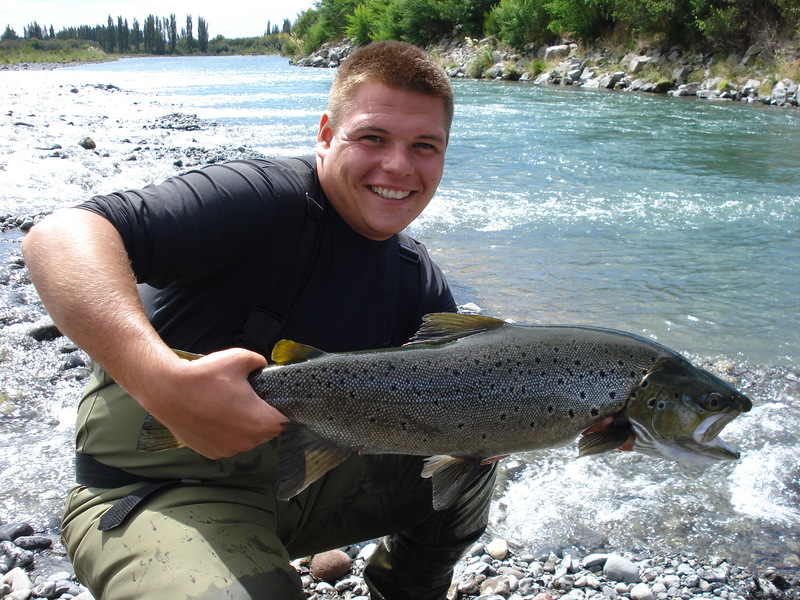 I also sawÂ a happy chap that had landed his first brown from the Tongariro which was caught nymphing in the same area. I also lost another big brown today so they are still about and willing to feed if presented with the opportunity of an easyÂ meal. There was a fish in the Waytoohardanuie yesterday but I caught it and killed it for the smoker so I don’t know when the next one will appear in that system? Spent another 2 hours at the rip this evening for nothing but a beautiful sunset and freezing cold hands. If you have not been to Taupo lately and like perfect scenery know is the time to experience it with all the mountains capped with snow. Winter fishing limits now apply so check your permits and see where you are allowed to be so you don’t get an embarrassing conversation with the local ranger. Lake O is all done and dusted for another year so lets let nature take its cause up there and hope Doc get some good fish through the trap this year.